As a real estate firm, JLL talks a lot about cities. For obvious reasons cities and the buildings they contain are at the centre of our business and, increasingly, cities represent the economic backbone of the world economy. 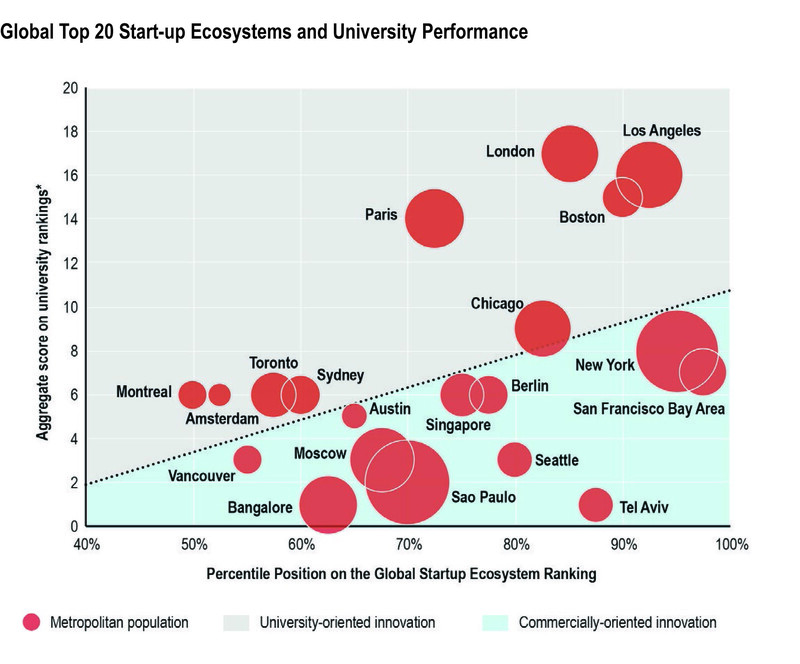 This reality has led us into a new era of global competition where cities compete with each other for talent and capital. The winners will be those able to adapt to the changing world of work, answer new environmental challenges, and nurture the opportunities of new technologies. This battle will be won or lost on the basis of liveability as much as innovation. 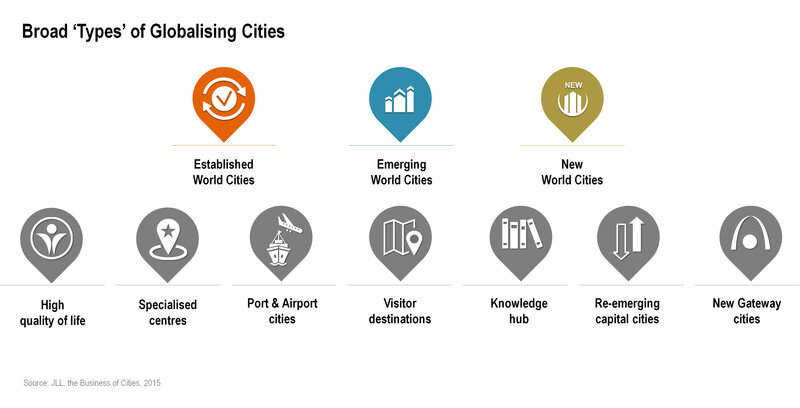 So how do Asian cities measure up in this world of competition? Looking at the property sector as an indicator, our research tells us that a quarter of all real estate investment is attracted by just six cities: London, New York, Paris, Singapore, Tokyo and Hong Kong. But looking beyond that core six, in order for more Asian cities to compete, they need to think hard about what kind of cities they are, and what they want to be in the future. Large and well-connected Asian cities like Seoul and Shanghai, that aspire to join this global economic backbone, are not only jostling for capital and talent with the Big Six, they are competing with a rising generation of newly ambitious cities across the region. Among these are cities that reflect the broader shift in economic power to China, India and Southeast Asia. Many have developed niches, such as Shenzhen, the poster child of the Chinese electronics industry, and Manila, whose educated English-speaking population can deliver back-office services such as call centres. Such cities act as magnets, attracting new people and a consequent need for office and residential space, along with better infrastructure. Also in the mix is a challenger category of ‘New World Cities’ that are disrupting the ability of established cities to corner the global market in the most capable workers. As well as being hipper, younger and greener, these cities also provide fierce competition for the high-end talent and resources that traditionally head for the Big Six. They demonstrate the wider trend towards liveability as the key currency in that competition, in an increasingly globalized world where international boundaries are breaking down, and the best industry-moving talent is transnational. The most obvious New World City is San Francisco, bedrock of the tech industry and the embodiment of innovation. New technologies bring new industries, and this is an area where Asian cities have shown they are competitive. Bangalore and Manila have built industries around business process and IT outsourcing, and Seoul is reaping the rewards of its investment in connectivity. Not to be outdone, however, established cities are working hard to stay ahead of the curve. As well as developing a 3D designed virtual Singapore , the city-state has promoted itself as a test-bed for high-tech innovations such as driverless cars. Meanwhile, both Hong Kong and Singapore are vying to be a ‘sandbox’ for disruptive fintech start-ups in order to stake their claims as financial centres of the future. Competition, however, will not simply come down to internet speed and start-ups: there is no point building a financial centre or fostering innovation if your city is not liveable. To build industries, Asian cities need to be attractive to transnational talent, from experienced fund managers with their families to young fintech entrepreneurs. This requires an intelligent understanding of the potential of real estate. Office space needs to be smart as well as cost-effective. It needs to stimulate the type of creative and collaborative thinking required to succeed in this changing world of work while also being flexible enough to meet the needs of an increasingly liquid workforce. Enforcing green building standards, whether for new or retrofitted buildings, helps to attract talent, increase productivity and benefits the bottom line as well as the environment. Office space needs to link with transport, retail and leisure facilities, healthcare and education services, as well as people’s homes. Meeting the liveability challenge will be difficult for some Asian cities, which have responded to rapid economic growth with rapid sprawl. In the cases of Jakarta and Manila, they must focus on solving their infrastructure problems if they are to avoid losing key workers to better organized cities. Equally, Chinese cities must address their environmental issues if they are to halt the flow of talent to places like Sydney and Auckland. Going back to our research, climbing city rankings is certainly one measure of success. However, for smaller centres like Taipei and Hanoi this need not mean trying to go head-to-head with New York and London. They can aspire to be New World Cities that fill a regional or global niche with an eye on the industries that they can develop in the future. The most successful will be the ones that understand the importance of innovation and liveability to becoming a true 21st century city.